The deadly super-spy from Iron Man 2, Invincible Iron Man and Captain America in her own ongoing series! Natasha Romanoff is not a super hero. Shes not psychic. She doesnt fly. And yet as the Black Widow, she manages to hold her own against a world of incredibly powerful enemies... and allies. But now someone has tried to kill Natasha... and almost succeeded. Injured gravely, almost beyond her ability to recover, Black Widow sets out to find her attacker... with no suspects and no leads. Who could be deadly enough to get the drop on Natasha? And what connections do they have to some of her closest super hero friends... ? 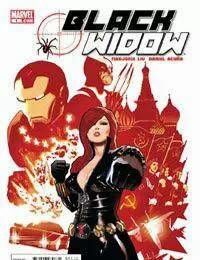 Plus, a backup detailing the deadly history of the Black Widow!